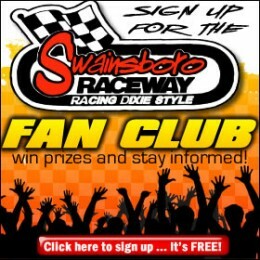 By admin Comments Off on Six different Winners at Second Swainsboro Raceway Event! 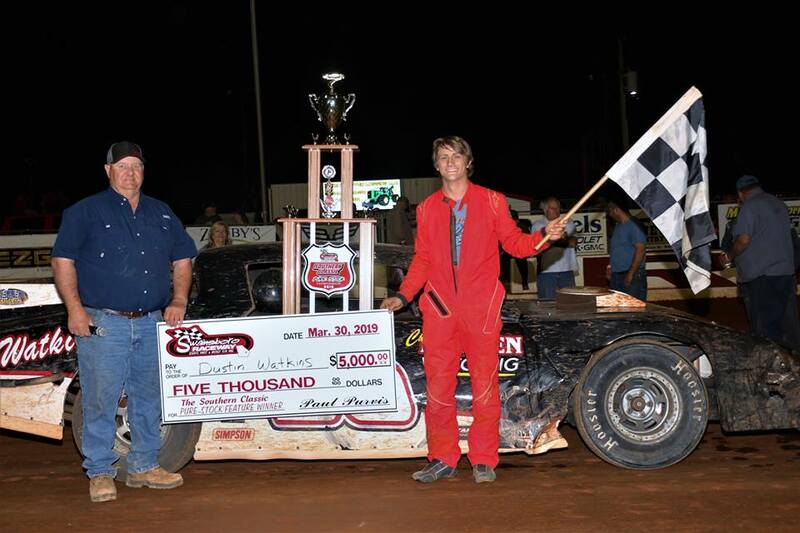 Swainsboro Raceway held its second points race of the 2019 racing season Saturday night with six different winners celebrating in victory lane. After qualifying in the Zaxby’s Crate Late Model division, Emanuel County young gun, Ches Chester set the fastest time leading the field to green with new comer Hank Taylor sitting outside. On the first start, Taylor pulls the lead on the outside but Chester spins in turn two bringing the field back to a complete restart. Stacking up for the green once again, Taylor takes the lead and Brandon Carpenter moves into second as Chester slips back. Lap three, Chester off the pace on the back stretch takes hard turn to the pits. Lap 5, Taylor starts to pull away and checks out. 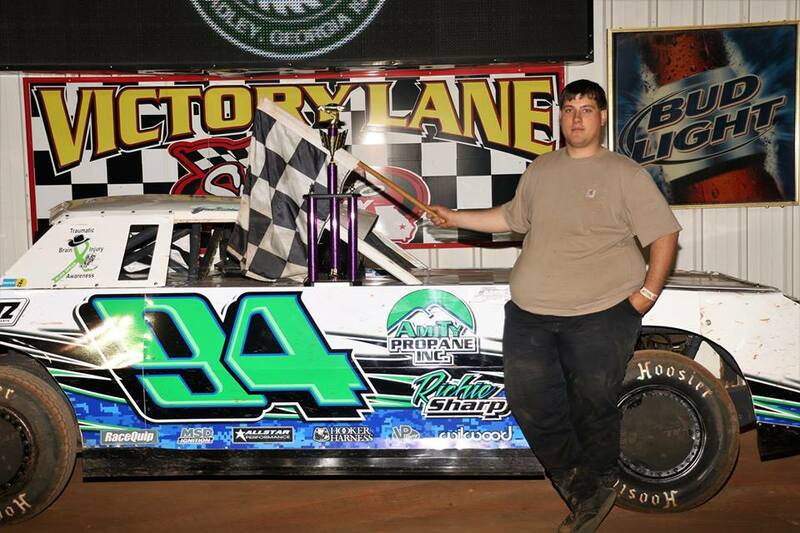 Hank Taylor makes his first appearance at Swainsboro Raceway and celebrates in Victory Lane to pick up the Zaxby’s Crate Late Model win, Brandon Carpenter second, Banjo Duke third, Rye Faulk fourth, Jordan Feider fifth. After two heat races in the Southland Insurance 602 Sportsman division, Pearson Lee Williams and Morgan Sheffield led the field to green. 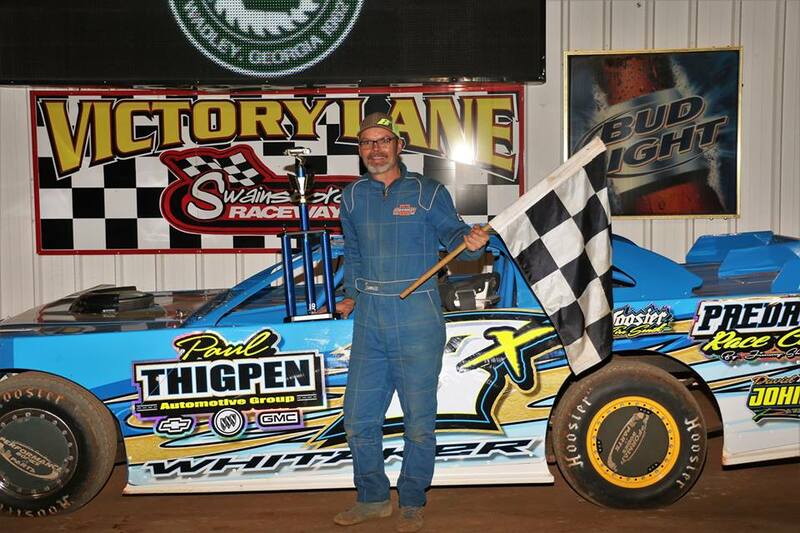 As the green waived, Williams surged to the lead and Ricky McClain quickly claimed second. The first caution waived as Eric Registers night ended early losing a drive shaft. On the restart, one of the rookies and most improved Blake Akridge took advantage moving into the second position. Lap 4, Monk Gulledge challenged McClain for the third position. Lap 6, McClain fighting a lose car battled to hold of Gulledge as Nick Berry fought to hold off Morgan Sheffield for the fifth position. Pearson Lee Williams pedal to the metal began working through lapped traffic with five to go. 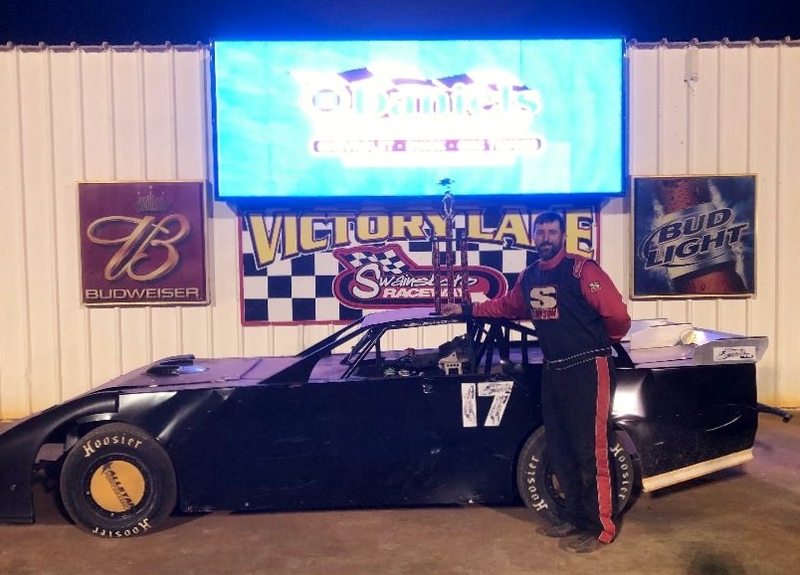 Making a come back from last week, Pearson Lee Williams earned his first win of the season, Blake Akridge picked up his best finish with second, Ricky McClain third, Monk Gulledge fourth, and Nick Berry fifth. 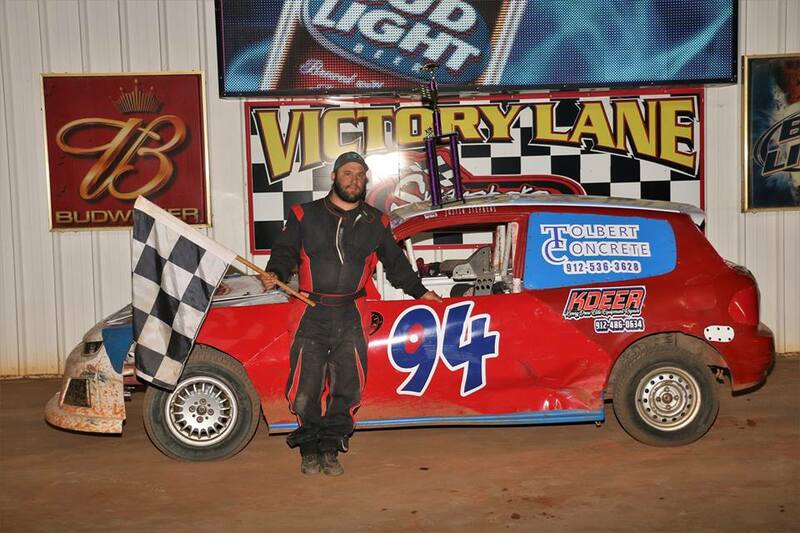 In the Sunoco Super Street division it was Strollin’ Roland all the way, as Daniel Roland grabbed the heat race win, started on the pole, took the lead in the feature over last weeks winner Jamie Whitaker at the start. Jamey Donaldson brought out caution sending field to restart, Roland retakes lead and Bobby Oglesby moves into second. Lap 3, Jamey Donaldson moves to fourth off two. Lap 6, Jamie Whitaker makes a move to the inside off two and takes over second from Oglesby. Daniel Roland holds a big lead as Whitaker begins to close the gap. Lap 9, Michael Slater takes fourth from Donaldson. Three to go, Brent Herndon face mechanical issues off the pace. Daniel Roland takes the checkered, Jamie Whitaker second, Bobby Oglesby third, Jamey Donaldson moves back into fourth, and Michael Slater settles for fifth. In the Roger Wheeler Construction Road Warrior division, Jordan Johnson and Jaime Foskey both earned heat race wins looking to pick up their first feature win of the season. Jaime Foskey took and early lead, Johnson in second, and Jacob Barwick in third. Lap 2, Frank Hunnicutt pits after starting third and Gene Thompson pits losing the fifth position. Lap 4, starting eighth Graham Stevenson is making his way through the field. Halfway, Foskey still in charge, Barwick closes the gap on Johnson for second as Stevenson makes it a three car battle. Jaime Foskey celebrates the win, Jordan Johnson second, Jacob Barwick third, Graham Stevenson fourth, and Jimmy Seigler fifth. Bringing fans to their feet in the hottest battle of the night in the Daniels Chevrolet Pure Stock division, Alex Sturkie and Roger McKenzie led field to green. Roger McKenzie took the lead but the top six cars were charging hard. Lap 3, Sturkie was all over McKenzie for the lead as Brent Herndon starting in the fifth position was making a move on fourth. Lap 4, Herndon moved in on Rak Donaldson for the third position. Lap 5, Rak Donaldson gets high off four and tags the outside wall losing the third position. Halfway, four car battle for the lead as Alex Sturkie, Dustin Watkins, and Brent Herndon all put the pressure on Roger McKenzie. Five to go, Dustin Watkins gets that inside lane to take over second. Two to go, Herndon gets by Sturkie for third. Roger McKenzie leads flag to flag driving and earning the Daniels Chevrolet Pure Stock battle over Dustin Watkins in second, Brent Herndon third, Alex Sturkie fourth, and Daniel Roland fifth. 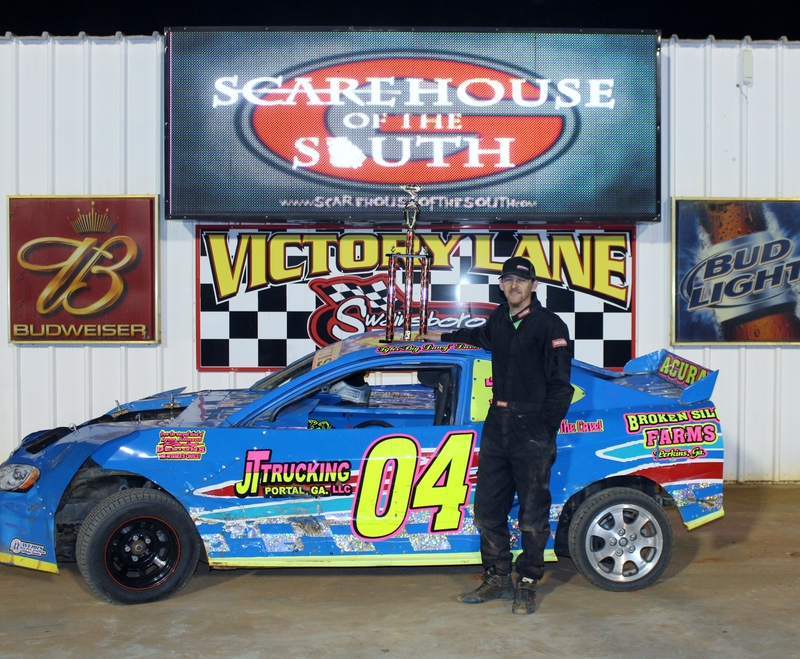 Up last in the Scare House of the South 440 division, Jeff Birge returned after blowing a motor last week to pick up a heat race win and lead the field to green with Scott Helton also picking up heat race win on the outside. Jeff Birge takes the lead. On start, AJ Joyner is forced to pit after starting fourth. After only a few laps, Justin Stephens moved into the top five after starting in the rear. Halfway, Scott Helton takes the lead with Justin Stephens moving into second. Four to go, Stephens passes Helton for the lead but Helton quickly regains. 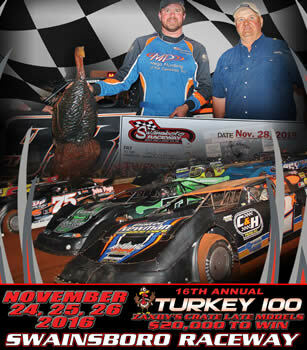 The two battle closely as Scott Helton holds off Justin Stephens to pick up his first win in the Scare House of the South 440 division. 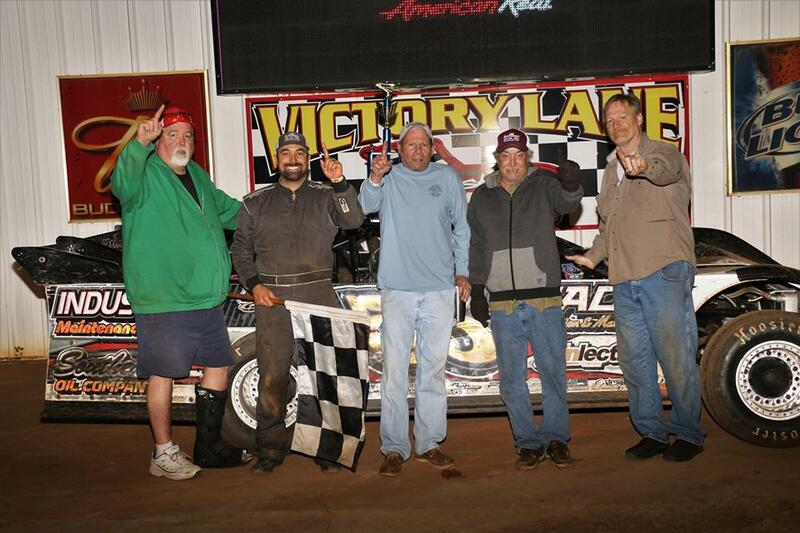 Finishing out the top five Jeff Birge took third, Richie Green fourth, and Terry Davis moved from tenth to fifth.